Why are people so grossed out by brussel sprouts? It seems like every time they are mentioned people cringe. We’ve come a long way from the days where people would only boil them and serve them up with no seasoning or flavor. Besides, bacon makes everything taste better right? This is one certainly something you can introduce this Thanksgiving. 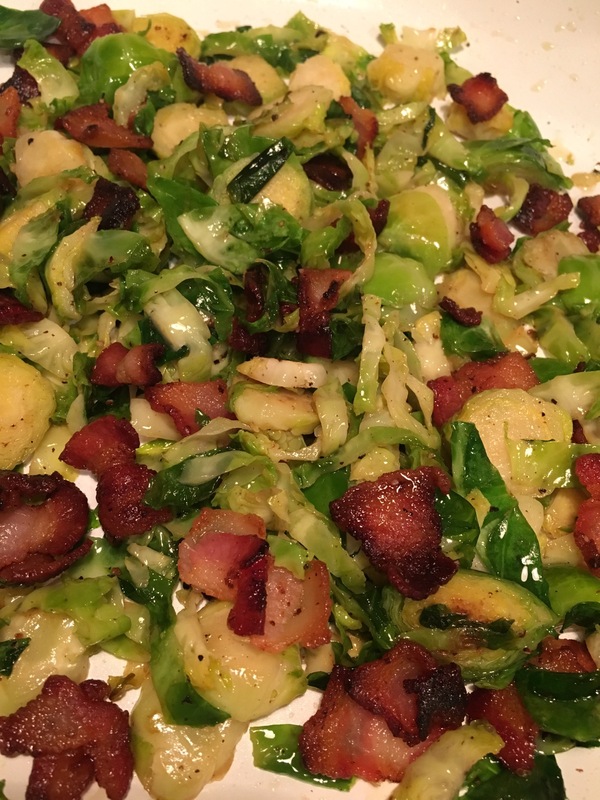 I am soooooo not a fan of frozen or canned veggies so I went all the way fresh with this recipe and used raw, uncooked or unpreserved sprouts. Fresh is always always always better! Longer but better. 1/2 pound of MAPLE bacon chopped before you cook. Trust me the maple gives it an unbelievable flavor but you can certainly use regular bacon. Heat a medium sized non stick skillet on medium high and add your bacon. It is important to make sure it is chopped up first so the bits cook faster and evenly. 2. 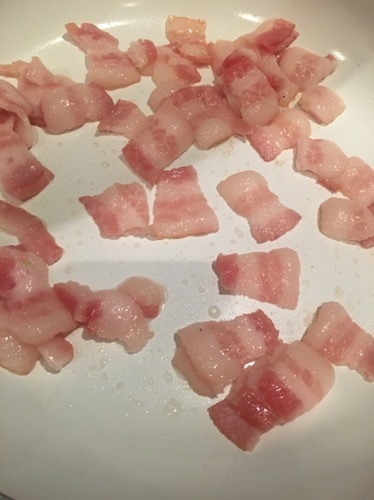 Once your bacon is your desired crispy goodness, remove from the pan and let drain on paper towel to remove extra grease. 3. 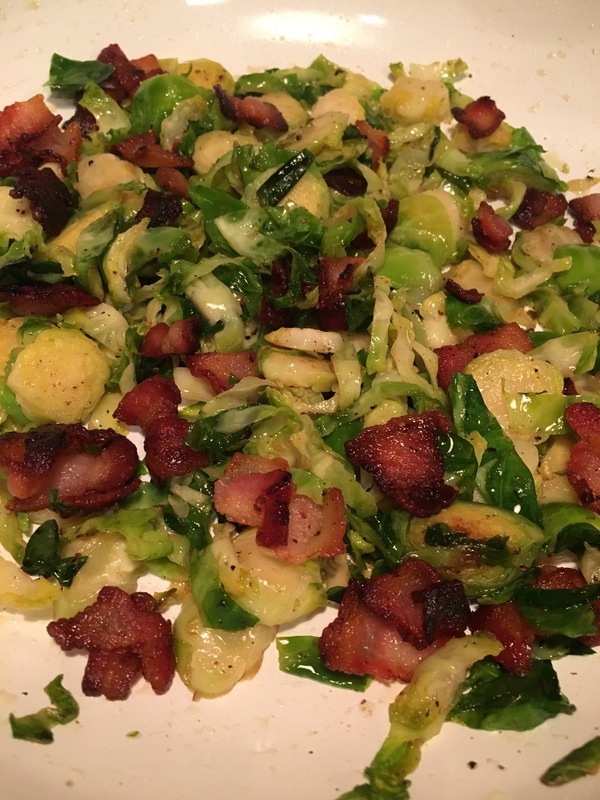 Add your brussel sprouts to the leftover bacon grease with a tbsp of butter and cook for about 7 minutes on medium heat until they are tender.